Well, where to start? 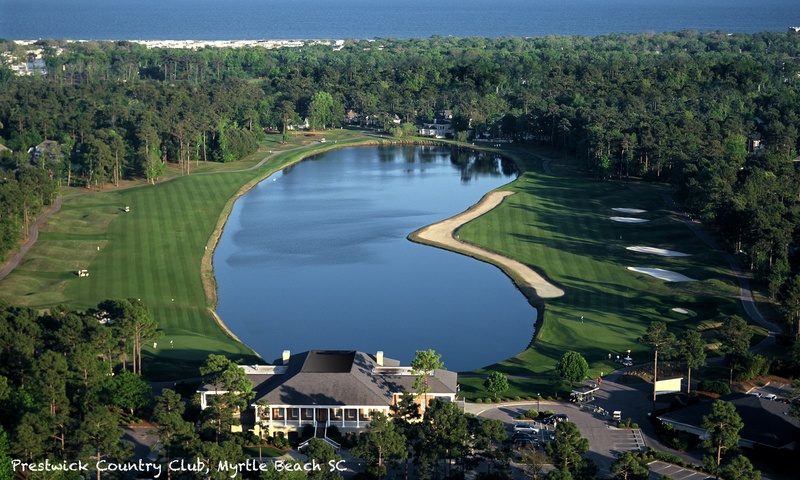 The Myrtle Beach area, incorporating Pawleys Island to the south and the Brunswick Islands of North Carolina to the north is a 60 mile long stretch of coastline that boasts over 80 championship golf courses. But it’s not just about the numbers, it’s the quality too… at the last check, 7 of the top 100 public courses in America according to Golf Digest Magazine are in the Myrtle Beach area – Barefoot Dye, Barefoot Fazio, Grande Dunes, Dunes Beach Club, Tidewater all in Myrtle Beach plus Heritage Club and Caledonia in Pawleys Island. Several others have appeared in previous lists including King’s North, True Blue (Pawleys Island), River’s Edge, Tiger’s Eye and Barefoot Love. Too many to name them all but other popular favourites include Barefoot Norman, Glen Dornoch, World Tour, River Hills, Aberdeen, Arrowhead, Long Bay Club, Prestwick and TPC of Myrtle Beach. Many of the courses mentioned belong to one of two main golf management or marketing groups in the area. Founders Group currently has 22 courses in the Myrtle Beach and Pawleys Island areas, while ‘Best of the Beach’ is a marketing co-operative which includes 16 courses. Both groups offer a variety of multi course discounts which makes for flexible, affordable golf packages. Please ask us about the best current multi-round deals available. The Pawleys Island area is one of the best for golf. Apart from Caledonia and True Blue mentioned above, there are several courses which have proven popular with our guests over the years including Pawleys Plantation, Heritage, Willbrook, Litchfield Country Club, Tradition Club and River Club. See the Pawleys Island section for more on these courses. To help plan your trip please take a look at our additional golf pages in the menubar on the left and chek out our accommodation pages to help build your perfect trip.